Gustavo is not his real name. But he is a man who came to the UK in the 1950s to seek work. He had been living in a village in South America, but had managed to fund himself through an accountancy degree. When I asked him why he had done this degree, he explained education for him was the best way to get out of poverty. He also explained how he was determined to help the U.K. with its economy after the Second World War. 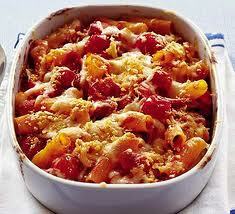 I was talking to Gustavo over quite a nice plate of a tune pasta bake. As I quite like cheese and sweetcorn, I loved this nice simple dish. I had a glass of orange squash too. Gustavo had the same. Gustavo was great company. I would say that wouldn’t I, as he laughed at my poor jokes? When I accidentally dropped my fork on the floor, he kindly picked it up for me. We were both having lunch at the Healthy Living Club in Stockwell. It was quite a dreary morning in November, but I had decided to spend all Wednesday there. Wednesdays are a day when people living with dementia can come to spend some time in each other’s company. I was invited to take part in their sedentary ‘exercise sessions’. I couldn’t do the exercise requiring you to catch a ball, as I am physically disabled. Gustavo was though quite good at it. His eyesight is excellent, and he explained that as a young boy he loved playing football. Doris (not her real name either) was asked by the group leader to make up a gesture and to show it to the rest of the group. I thought Doris’ gesture was some sort of weird salute, but we all copied it anyway, and Doris was delighted. We then all played charades over lunch. Ethel kept on winning (not her real name either). I don’t know how Ethel did it really, but her long term memory for film titles is clearly amazing. It was an amazing day, for people with very different backgrounds simply appearing to enjoy each other’s company. That in this day and age is relatively rare in itself, with everybody rushing around in society, appearing to do a lot but in fact doing very little. Gustavo and Ethel are remarkable also as they are good examples of “Ribot’s law”. Ribot’s Law was first postulated by the French psychologist Théodule Ribot (1839 -1916), who is recognised as one of the pioneer 19th century advocates for cognition. Ribot was particularly interested in case studies which helped to shape theories of psychological function. Ribot’s Law was hugely influential in theories of memory and learning: the observation that functions acquired most recently are the first to be affected is one which held massive truck for ages, and shaped other academic lines of enquiry. Gustavo can remember clearly what happened in the 1950s, as if it were yesterday. Ethel can remember her film titles. A large body of research, in addition to Gustavo and Ethel, supports the predictions of Ribot’s Law. That Gustavo and Ethel were happy at the Healthy Living Club would have made Ribot happy I am quite sure too.